RBI has sold the interest in RHI to an unknown financial investor. In total, RBI has sold 2.9 million shares. MS Privatstiftung, which was founded by the Austrian investor Martin Schlaff, remains the biggest shareholder at RHI. MS Privatstiftung holds 25% in RHI. 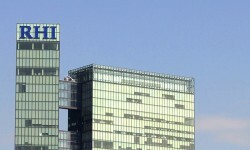 The second-biggest investor is the German investment company FEWI. FEWI´s stake comes at 10%.